It will not be 100% scale, my available money and my building skill will limit this. 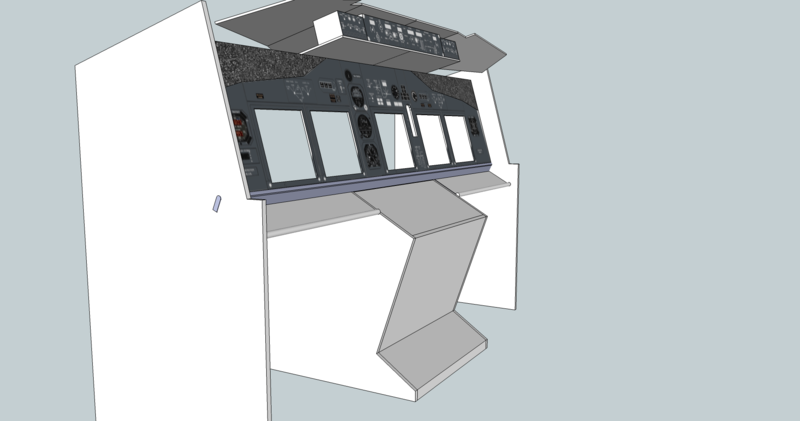 It should become the best, I can afford (in the first time only with Saitek throttels and yoke and o overhead - but correct dimesions, double-seated, fully closed and "professional" MIP- and pedestral-compnents. You can easily measure all kinds of data. Btw: Google Sketchup is freeware and easy to use (after a short while...). How far out is the MCP hanging out? I did it 137mm just by my feeling, but now I think, this is a bit too far? What should be the angle of the top of the FWD (FMCs)? I found somewhere "aproximately" 30°. Does this look correct? I think the small lower MIP-panels to the left and right are parallel to the FWD-top. Correct? What is wrong? 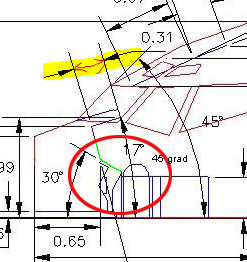 The Main windows are 780mm wide and they are straight - correct? 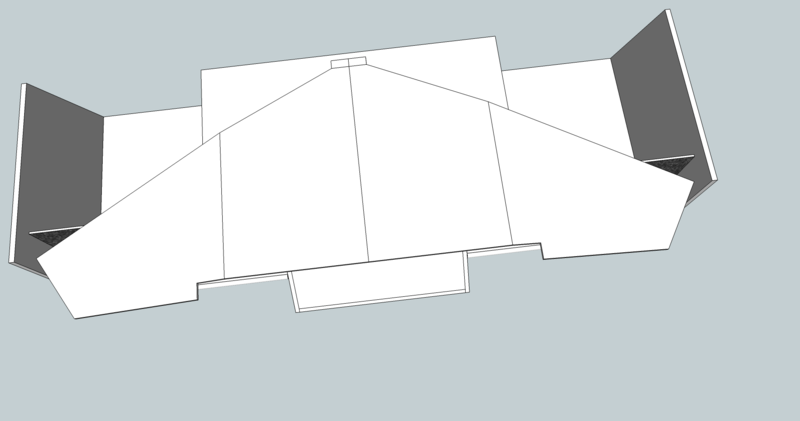 I also could show pictures with measured dimesions of my project. When it's finifshed it will be in the net for download. This will help a lot of starters, I think. Thanks for You patience and Your thoughts. 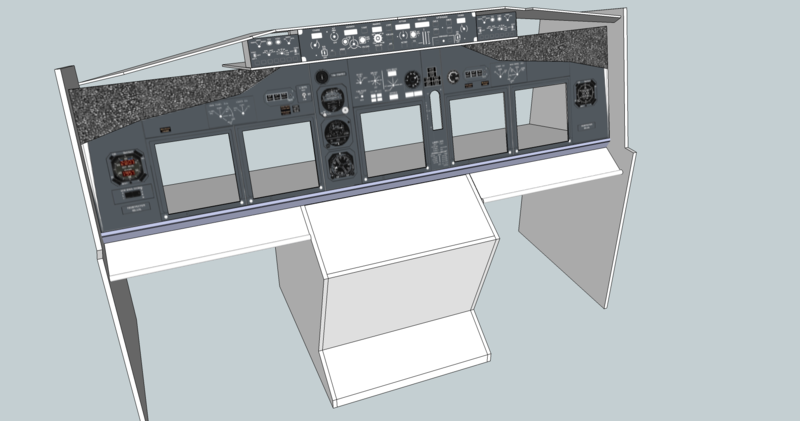 Re: Correct B737 MIP dimensions? Ok, I found another document, that also says 30°. I think this is correct. What's still missing is, how much the MCP stands out the main panel. This site has many dimensions including the ones you want. This is the best set of complete dimensions. Not that expensive as it includes backlighted panels and you will end up anyway spending 3/4 of that for a lesser result. B738 / PM / POSKY / FS9 / 70+ years old / F/C ret. I agree with Jack to 100% even if I have made my own MIP myself. I did it with the help of 1:1 adhesive drawing for the front panel, but in the end faced problems that would have been avoided by using an FDS ready made (and exact) structure. The finish of a "do it yourself" MIP can be good, but not even close to a pro manufactured one. The "savings" are on the minimal side. There are Young Pilots there are Bold Pilots but no Bold and Old Pilots. Did you ever update you MIP drawing and did it turn out well? Page created in 5.528 seconds with 27 queries.